The number of food delivery app downloads is up 380 percent since 2015, according to market-data firm App Annie, and research firm Cowen and Co. predicts that U.S. restaurant delivery sales will rise an average of 12 percent a year to $76 billion in the next four years. Several restaurants are changing their design to accommodate the meteoric rise in delivery apps. Restaurants themselves are getting smaller as more space is given to delivery counters and to-go racks. Not every restaurant will have booming success with delivery apps. On top of the fees paid to delivery app partners per order, there are start-up costs with the partner to integrate the app with your menu and POS system. Restaurants experiencing huge success with delivery apps report revamping their establishment to have more counter space, to-go shelving, and parking spaces for the delivery drivers. Delivery apps may or may not have support for users. Those apps that do, are able to offer some support – the driver can communicate order status to the customer and often provide estimated delivery time should it vary from the original estimate. However, since drivers are usually driving, they may have difficulty interfacing with the customer. If the customer decides to change their order, the driver cannot help with that, nor can the driver assist the customer who opens their order to find that it is wrong or incomplete. This leaves the restaurant ultimately responsible for customer support, and many restaurants simply do not have the resources to cover the additional support required for a successful food delivery program. There are also instances where technological issues arise with the app that are out of the restaurant’s hands, such as network or server issues. In those cases, restaurants have to rely on the tech support of the app to resolve problems, and that can sometimes lead to lags in communication and difficulty placing or submitting orders. Most of the food delivery apps supply their own fleet of drivers and vehicles. Keeping that ‘fresh out of the oven’ quality for delivered food is tricky. Insulated bags and sturdy containers help, and tamper-resistant labelsassure your customer their food has gone untouched, but ultimately, once the food leaves the restaurant’s doors, the freshness and food safety of delivered food is out of your control. You also do not have control over the quality of drivers, and they may be below the standards you use in hiring your employees. With delivery business booming and kitchen resources being utilized to meet all the delivery orders, your seated guests may start to feel a bit neglected. Ensuring you have adequate staff and adequate kitchen room should take care of both sets of your customers. You might also have a limited delivery menu. While partnering with delivery apps can increase your business, you will also incur extra costs in hiring additional staff to assemble orders and ensure the orders are correct and ready to go when the driver arrives. Since one of the perks of using a delivery app is that sales increase during non-peak hours, you will most likely need staff to cover those times too. Most delivery apps do not transparently list their commission and start-up fees, which makes selecting the right one tricky. On the plus side, you may be able to negotiate the fees. This list is by no means all-inclusive but does list some of the most popular food delivery apps on the market today. DoorDash – Offers the “Door Dash Delight” scoring system which incorporates food quality, restaurant popularity, delivery time, and customer satisfaction to recommend restaurants to users. Fees vary for each establishment but generally cover the cost of the meal, taxes, delivery fee and optional tip. Available in more than 1,200 U.S. cities. GrubHub allows users to search local restaurants by cuisine type or food type. Grubhub is available in more than 900 cities nationwide. While the app is free to use, restaurants may charge a delivery fee and impose a minimum order. Postmates not only delivers food, it delivers almost anything from anywhere, including alcohol. Users will pay a fee for each delivery and often incur an additional delivery fee during peak hours. Heavy users, however, may purchase “Plus Unlimited” for a monthly fee of $10 that allows unlimited use of the app for select stores and restaurants for every purchase more than $25. The app is available in more than 90 U.S. cities. Seamless lives up to its name, offering the user thousands of restaurant menus with exclusive in-app discounts. The customer pays no delivery fee but may encounter minimum order amounts. This app is currently available in 600 cities in the U.S.
UberEats is a different app than Uber but shares the same features including estimated delivery time and cashless transactions. UberEats is available around the globe and charges a flat $5 fee. Yelp Eat 24 has the most robust restaurant rating system of all the delivery apps as it has utilized years of restaurant ratings from its webservice. Available in more than 1,500 cities nationwide, the app is free to use although restaurants usually add a delivery fee and have a minimum order in place. Your current accounting system will have to be carefully evaluated to ensure it will interface well with the delivery app. Of particular importance is being able to identify whether an order is dine-in, pick-up, or delivery. You will need to be able to identify which orders are driven by the delivery app so that restitution to your partner can be calculated and tracked.Software Advicehas evaluated a variety of accounting software for restaurants and may be worth reviewing if you decide your current software won’t meet the needs of adding delivery to your establishment. Generally, the delivery app partner will assign a technician who will load your restaurant’s menu into their system and make sure their app interfaces in a meaningful manner with your POS system. This integration should include tickets being sent to the appropriate points within the kitchen (i.e. the team area who will prepare the food for deliveries) as well as carryout / delivery counters. This is a key point when researching the myriad of delivery apps available. When negotiating, make sure you understand who is responsible for the integration. Make your life easier by partnering with a restaurant supplier who can supply both the print materials and the food packaging you’ll need to start a delivery program. Get the word out. Once the delivery program is in place, promote it using the following strategies. Market the upcoming service on your business’s Facebook and Instagram accounts. Announce the new delivery service on your website. Ask the delivery partner if they can help with promotion – highlighting your restaurant on their app. Don’t underestimate printed materials – flyers, coupons, wall graphics, window films, POS signage, etc. If you’ll be using your own delivery team, consider custom vehicle wraps. Incentivize front-of-house staff for talking up the new service. Give away promotional items to current patrons. What are the delivery service’s reliability and customer satisfaction scores? Ask for statistics on average delivery times, if and how the service trains drivers, whether or not background checks are performed on new drivers, and how complaints are handled. You can check on customer satisfaction ratings through social media and third-party customer rating sites such as trustpilot.com and sitejabber.com. How much does the app charge? And how much should you charge? Analyze your transaction data to determine price sensitivity. If you’re planning to charge a delivery fee, make sure you aren’t discouraging orders that become too pricey when adding a delivery fee, potentially on top of the delivery app partner’s fee. Will you be able to deliver in a timely manner? Ensure that food prep is moderately easy and won’t impede in-house orders. According to McKinsey & Company, a global consulting firm, speed of delivery is the single largest factor tied to customer satisfaction. Generally, if you cannot have food arriving on the customer’s doorstep within 60 minutes of ordering, you’ll lose repeat business. What is the return on investment for adding delivery service to your establishment? Delivery data must be tracked and integrated with all POS data to fully understand how food delivery is impacting your bottom line. Is the delivery partner living up to its promises? Delivery times and customer satisfaction should be monitored early and often. It’s a good idea to not commit to a long-term contract with a delivery app unless thoroughly vetted. The head chef should determine if any food items will need to be altered or re-formulated to withstand delivery times. Chef and owner will decide if delivery menu will be limited, or at least if any particular food items should be removed from the delivery menu. Update the design of take-out containers with food delivery in mind. Products should be consistent with the restaurant’s brand and be made of the proper materials to keep foods at the correct temperature. Determine who will provide insulated food carriers (you or the delivery service). Determine how many additional carryout items will be needed within the usual supply time – i.e. condiment packets, portion cups for sauces, plastic utensils, etc. Consider tamper-resistant labels. Do the cooks understand the modified food prep menu? Do they know who is handling delivery/take-out orders and how they will coordinate with in-house chefs? Do staff know where to-go food containers are stored and the proper use of them? Has at least one employee per shift been trained in assembling delivery orders? Does staff understand exactly where and how to interact with delivery drivers? Has an adequate number of staff been trained how to respond if technical problems arise with the delivery app and the restaurant’s POS system? Have staff been prepared for how to deal with customer complaints about incorrect, incomplete, or missing orders? See “Don’t forget about marketing and advertising” section above for ideas to jump start the program. The earlier you start your marketing efforts, the better off you’ll be. Make sure to specify how integration between the delivery app and your POS will work. Do you need upgrades to your system to be able to handle the delivery orders? How will delivery orders be tagged so that staff can handle logistics, and to be used for further analysis? Who will do initial set-up? Is this included in the start up fee? Who will perform regular maintenance? Who will troubleshoot if problems arise? What is the pricing for troubleshooting? What is the plan (usually handled by the delivery partner)? What types of questions will the app’s customer support answer? Train staff to handle questions or complaints that the delivery partner cannot handle. What is the plan for handling consistent issues reported by customers? Test the entire set-up several times before “officially” launching. Ask friends and family to be your guinea pigs. In the week before launch, have orders placed at different times. Have a variety of foods delivered. Ask recipients for their feedback – was the delivery timely? Were they satisfied with the quality of the food? Was the driver courteous? You might want to be on hand at the delivery point to take food temperatures or photograph the food once containers are open. Here's an example of Launch day checklist. Do launch day marketing activities (social posts, advertisements, promote on website). Make sure all staff are in their designated places. Have a manager dedicated to managing the work flow and ensuring orders are ready to go and assembled correctly. Time the drivers. Managers should make sure orders are being picked up by delivery drivers in a timely manner. Have checklists or scripts that the order assembler can follow – i.e. are requested condiments in the bags, are necessary utensils in the bag, is the address and customer name clearly and securely attached to the order. You will want to do post-launch analysis at the 30- 60- and 90-day milestones. If you were diligent in selecting your accounting software, post-launch analysis should be fairly easy. Reports should provide specifics about revenue and expenses associated with the delivery partner. Evaluate ROI monthly. Give some time to let the new part of your business grow. Interact with staff and managers to see if they are happy with their new roles and whether they have suggestions for improvement. Check your ratings on social media and your website to monitor positive/negative feedback from customers. The only way to improve your food delivery program is to ask your customers for regular feedback. If you’re not seeing the return on investment you were hoping for, and since you didn’t make a long-term commitment with your delivery app partner, you can try partnering with another service. Or, you may ultimately decide not to offer delivery through food apps. Hopefully, you’ll see increased profits that make all your research and set-up work a success. 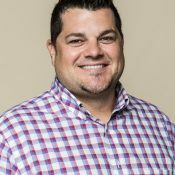 Brett Sutton is a National Account Rep with Dot It Restaurant Fulfillment, a specialized restaurant distributor located in Arlington, Texas. Sign up for email notifications of new articles written by him.